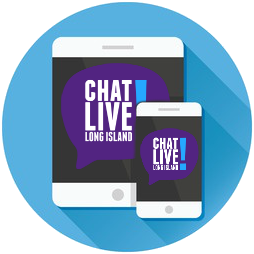 With help from researchers at the State University of New York Oneonta (led by Michael Brown, Ph.D.), Long Island Crisis Center (LICC) has completed an innovative new study on the efficacy of its hotline and online crisis counseling programs. Until now, few studies have evaluated the primary aim of crisis services and even fewer studies have examined the effectiveness of online counseling in reaching this goal. To date, few studies have evaluated the primary aim of crisis services – to reduce the crisis states of callers from their presenting levels at the start of the call, and to provide a specific plan of action or referral for the caller’s presenting problem. Even fewer studies have examined the effectiveness of online counseling in reaching this goal. Thus, little is known about whether online forms of crisis counseling, or crisis counseling in general, is an effective mental health community resource. The purpose of our study was to evaluate the effectiveness of LICC’s telephone and online crisis counseling services for achieving positive client outcomes as indicated by changes in callers’ crisis states from the beginning to the end of their contact with LICC (immediate outcomes), and again within 4-6 weeks of their contact (intermediate outcomes). We also evaluated clients’ recollection of, and follow-through with, plans of action and/or referrals received during their contacts with LICC. We created assessment tools based on validated measures used in similar studies (e.g. Kalafat, Gould, Munfakh, & Kleinman, 2007). For the immediate outcomes evaluation, we created questions that corresponded with the conceptual bases and goals of crisis intervention: reduce maladaptive cognitive and affective components of the crisis state, attenuate maladaptive coping, and help the client find a plan for coping with the situation and/or another helping agency that can provide further assistance. Changes in callers’ crisis states were measured using evaluation surveys – one being offered immediately following contact with LICC (immediate outcomes), and another being offered within 4-6 weeks of contact (intermediate outcomes). The Crisis Center and Researchers conducted 550 immediate outcomes evaluations (430 from hotline callers and 120 from online counseling users) and 207 intermediate outcomes evaluations (105 from hotline callers and 102 from online counseling users). Telephone Hotline vs. Online Chat Counseling. Overall, hotline clients rated their initial post-contact experience more favorably than did online counseling clients. However, clients in both groups agreed or strongly agreed that after the counseling session, they were better able to think clearly, felt less stressed, knew what their next step would be, knew what options were available if their feelings returned, were now aware of positive ways to cope with future stress, were more likely to seek professional help if necessary, felt more able to handle their problems, and felt that there was hope for their situation. Sustained Satisfaction with the Services. Hotline and online counseling clients reported sustained satisfaction with the services they received and improvement in their overall mood and level of anxiety, and the ability to think clearly about, and cope with, their problems, 4-6 weeks after their initial contact with LICC. Thus, LICC’s crisis counseling, in either mode of delivery, appears to be effective in meeting the goals and outcomes of crisis intervention both in the immediate- and intermediate-term. Other organizations can use the tools developed to evaluate the effectiveness of their own programs. As funding for programs becomes increasingly tied to outcomes-based assessment, such measures and procedures would be invaluable to non-profit organizations on Long Island and nationwide. Any further questions should be addressed to: TBuhse@longislandcrisiscenter.org.